As children across the Sichuan Province of China sat at their school desks, an earthquake began rattling and knocking buildings to the ground. Felt 1,000 miles away in Beijing, the May 2008 quake would kill roughly 90,000 people, at least 5,300 of them children, according to figures from the Chinese government. Outside observers believe youth casualties are closer to 10,000, a result of the collapse of what Chinese critics later called "tofu dregs schoolhouses." 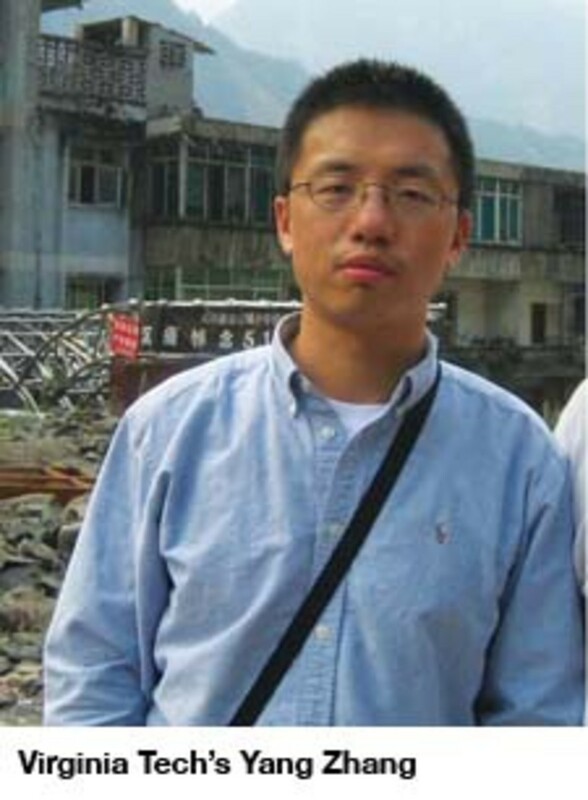 Yang Zhang, a Chinese national and professor of urban planning at Virginia Tech whose research centers on disaster mitigation, knew the quake would cause major fatalities, and he braced for the government&apos;s response. More than three decades earlier, when extreme tremors rocked China, the government suppressed casualty figures for three years. Questions about the schools&apos; engineering failures and the death of children would haunt the Chinese government&apos;s response, but Yang admits to being satisfied with other aspects of the recovery effort, which he saw firsthand when he visited Sichuan a few weeks after the disaster and, again, in July 2009. He was surprised at the openness of the recovery process and the involvement of research experts and international relief groups. The government even devised a sister-city assistance program that paired communities outside and inside the quake zone. The program directed charitable giving and assigned recovery tasks, such as reconstruction, education and health care. Yang and others say the program spurred financial and other support for earthquake victims, leading Chinese citizens to view the episode as a national, rather than regional, incident. Like many of the practitioners in the field of disaster research, Yang looked on the moment, tragic as it was, as an opportunity. Countries need to learn from one another, Yang says, when it comes to low-probability, high-consequence events like natural disasters and terrorist attacks, especially as the probabilities and consequences are rising. The number of recorded natural disasters has doubled in the last two decades, to about 400 a year now. Population growth, particularly in disaster-prone coastal areas, has put more people in disaster&apos;s path, and U.N. officials, among others, claim climate change is causing an increase in weather-related disasters. Terrorism, wars and pandemics also seem likely to plague the 21st century. Hazard managers know how to build structures that can withstand hurricanes and earthquakes. Disaster researchers are working on a more difficult problem: What can the government do to help people overcome the emotional aftershocks that continue, even after the tremors calm and the floodwaters recede? Studies of recent tragedies suggest that displaced children should be one focus of post-disaster aid. But those studies also point out just how little is known about the best ways to reduce the long-term impacts of cataclysm. The roots of disaster research are military. Concerned about the potential aftermath of a nuclear attack after World War II, the U.S. Army figured it could learn about probable wartime behavior by studying responses to natural and industrial mishaps. Starting in 1950, the Army Chemical Center commissioned the first social-science disaster studies. The Army assumed that a large-scale nuclear attack would trigger anarchic pandemonium, says David Neal, director of the Center for the Study of Disasters and Extreme Events at Oklahoma State University. The military-supported fieldwork on tornadoes, fires and plane crashes over the following decade observed civilians&apos; social and psychological reactions. In 1963, with Cuba-based Soviet missiles aimed at Florida, the Office of Civil Defense — a predecessor to the Federal Emergency Management Agency — gave $200,000 toward the opening of the Disaster Research Center at Ohio State University. The disaster research program became the first of its kind in the world. In 1985, the center would relocate to the University of Delaware. Years of research and many disasters later, Neal and others can say communities that suffer disaster don&apos;t generally descend into Lord of the Flies-type chaos. Based on observation, Neal and others say that people typically attend to their professional responsibilities during disasters and their aftermath. The most effective disaster planning combines some basic collaboration between public and private institutions, and taps the talents of local social networks, such as churches and volunteer groups. "Whether you&apos;re dealing with preparation, response or recovery, it needs to come from the grassroots," Neal says. The government&apos;s responses to the Alaska earthquake of 1964 and hurricanes Betsy in 1965 and Camille in 1969 were ad hoc. Numerous agencies were responsible for bits and pieces of hazards management; relief programs funded new building that faced the same risk as the buildings destroyed in the disasters. FEMA came into existence in 1979, coordinating and consolidating the government&apos;s programs. But the agency proved incapable of handling the biggest natural disasters, and its agenda has been largely reactive. Perhaps most disconcerting is another reality: The U.S. government has been ahead of the rest of the world when it comes to hazards management and dealing with the emotional aftershocks of disaster. 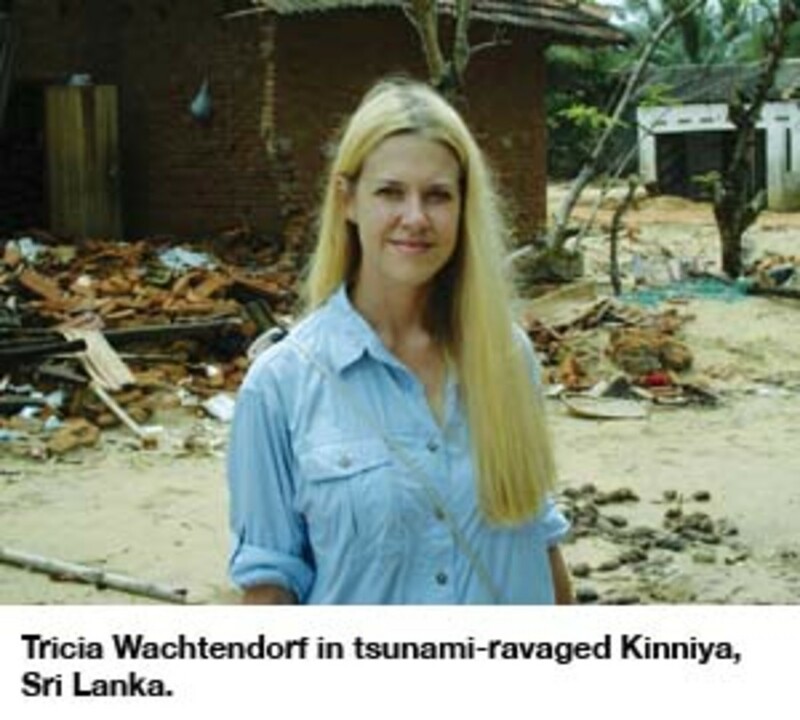 In the days following the Indian Ocean tsunami in December 2004, Tricia Wachtendorf, associate director of the Disaster Research Center, visited Sri Lanka to survey damage and assess recovery in small fishing communities. Her group traveled toward the coast, accompanied by displaced villagers who hadn&apos;t returned to their damaged homes. "Men were extremely hesitant about coming near the shore," Wachtendorf recalls. "There was a persistent sense of uncertainty." The villages&apos; livelihood and community identity were tied to the source of the destruction, Wachtendorf says, posing special challenges, some emotional and some practical. After fishermen returned to the shore, they had to relearn how to navigate coastal waters that had been significantly altered by the tsunami. At the same time, recovery programs were relocating villages away from the shore in the name of safety — forcing some fishermen to travel 2 miles to get to the coast. Christopher Lom, the Asia-Pacific spokesman for the nonprofit International Organization for Migration, which provides post-disaster relief around the world, says beachfront land grabs also occurred in Thailand following the tsunami. "There&apos;s a fairly strong myth that disasters are equalizers," Wachtendorf says. "But some groups are more vulnerable than others, and not recognizing that really discounts our ability to help those who are impacted." Research on recent disasters shows that they disproportionately affect the poor. Women, children, ethnic and racial minorities, the elderly and special-needs individuals all tend to face higher degrees of risk because of social, physical and mental obstacles that affect personal decision-making. Poorer families, whether in Thailand or Louisiana, tend to live in hazard-prone areas where there often are dense populations, few protections against disaster impacts and fewer resources to respond afterward. And clearly, children displaced by disaster are more vulnerable and less resilient than might be imagined. Hurricane Katrina didn&apos;t flatten hundreds of schools, as happened last year in China, but the 2005 storm and subsequent flooding displaced 163,000 children 19 years old or younger. 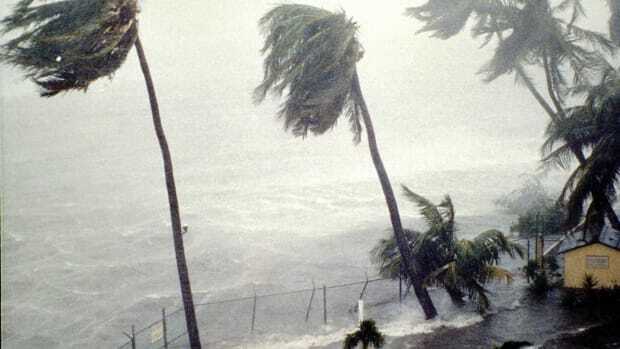 The hurricane flung kids across the country during the haphazard evacuation; 5,100 juveniles were reported missing in the weeks that followed, and it would take seven months to reunite them with their families. Children are a particularly understudied population in terms of disaster research, and while some people believe kids can prove exceptionally resilient, the harsh consequences of Katrina suggest less promising outcomes. "We have very little good research on mass displacement and natural disasters," says Lori Peek, a sociology professor at Colorado State University. "But I think we&apos;re going to see a lot more of it, so I think we need to learn more about what went wrong." Peek has conducted hundreds of hours of interviews with adults and children who landed in Colorado after Katrina. She&apos;s also spoken to individuals who have returned to the Gulf region. Field studies of displaced children by a dozen researchers, including Peek, reveal magnified risks of emotional and social suffering, not to mention increased mental health problems. Children displaced by Katrina face overcrowding at new schools and discrimination from new peers. They are tuned in to their families&apos; financial instability and crave the friends and relatives who once formed their social network. "In Colorado, people want to know, &apos;Are they better off?&apos; That&apos;s really difficult [to say] because what does &apos;better off&apos; mean?" Peek says. "The Legacy of Katrina&apos;s Children," a paper authored by David Abramson and colleagues at Columbia University&apos;s National Center for Disaster Preparedness, found that children affected by the storm were more likely to exhibit reduced academic performance, to lose access to health care and to develop clinical mental health problems and behavioral disorders than other children. "We think [disasters and displacement] have an enormous impact on kids," Abramson says. Congress has heeded warnings from researchers like Abramson and Peek, creating a National Commission on Children and Disasters that first met in October 2008. During an August 2009 Senate hearing, the commission chair, Mark Shriver, an official with Save the Children, told policymakers, "We&apos;ve spent more time, energy and money on pets than we have on kids." Under President Bill Clinton, FEMA was a Cabinet-level bureau and the agency took an "all-hazards" approach to disaster planning that emphasized a comprehensive framework for coordinating response and recovery. Abramson says Clinton&apos;s FEMA would likely have demonstrated a "robust" response to Hurricane Katrina. After the Sept. 11, 2001 terror attacks, however, the Bush administration assumed a homeland security posture, similar to the civil defense agenda of the Cold War era. Policies were narrowly focused on terrorism preparedness, which diverted resources — and attention — that had gone toward dealing with natural disasters. "The United States does a pretty good job in terms of predicting the impacts, especially for hurricanes," Yang Zhang says, referring to projections of landfalls and storm surges. "The main issue is what happens after the event." That last notion holds true around the planet. Christopher Lom of the International Organization for Migration spent time in Pakistan following the October 2005 earthquake that killed nearly 80,000. The disaster marked the first implementation of the Inter-Agency Standing Committee cluster approach, a major reform of global emergency response that aims to create a more structured and accountable division of labor among the U.N., local governments and international relief groups responding to a disaster. In Pakistan, Lom says, the cluster system proved efficient in the short term, his group partnering with the military to provide temporary shelter and relief. But the longer-term future of the impoverished residents of the area amounted to a return to their former, quake-prone villages and buildings, with the delivery of new livestock to some families. Because of that insufficient long-term response, Lom suggests, the disaster may well have given the Taliban a new recruitment tool. Following the Sichuan earthquake, the Chinese government rebuilt schools, spending millions of dollars to ensure that new buildings won&apos;t crumple during another tremor. Smaller villages have been relocated and combined into larger communities, a process that has expedited reconstruction but impeded farming practices and lifestyles. The centralized planning of this response left Yang both impressed and suspicious. "The first thing is the physical recovery, but the more important thing is the social fabric," Yang says, "and there is very little attention [in China] to how do we reconstruct social life." This spring, the International Organization for Migration projected that climate change could displace up to 200 million people by 2050. (The U.N. estimated in 2005 a more conservative figure of 25 million climate refugees.) The scale of response and recovery efforts required by even the smaller displacement would be staggering. "We still make decisions that make disasters worse. We have to better understand how to live within our environment," David Neal says. A 2008 workshop of disaster and natural-hazards researchers produced a report calling for the establishment of a national scientific observatory that would collect and maintain long-term data sets of social, political and environmental variables needed to better understand the vulnerability of people to major disasters and to better help them recover from its emotional impact. The idea still only exists on paper, but it is getting consideration from officials with the National Science Foundation and other potential partner agencies, according to Walter Gillis Peacock, director of the Hazard Reduction and Recovery Center at Texas A&M University and a lead supporter of the network. "Beyond just funding engineering and environmental observations, it&apos;s a major change from the way we have thought about hazards and especially social-science-based research," Peacock says. Policymakers have yet to develop long-term, proactive strategies that promote local empowerment and national and international coordination in response to natural disasters. Donations and volunteer support, spurred by media coverage and benefit concerts, often tail off just weeks after a mass emergency, but communities face the continuing task of rebuilding structurally and socially. The urgent evacuations following Katrina spared lives; research now shows that the response undercut the livelihoods and prospects of individuals — in a way that we may not realize for generations. "For long periods after disasters, people still have needs," Peek says, "and the needs change over time."